Selma’s Dolls formed when two moms realized a conversation needed to be started with their young children about accepting and learning from people of all different backgrounds, races, cultures and religions. The first collection of ragdolls includes a Muslim friend, Mexican-American friend and a friend with Down syndrome. 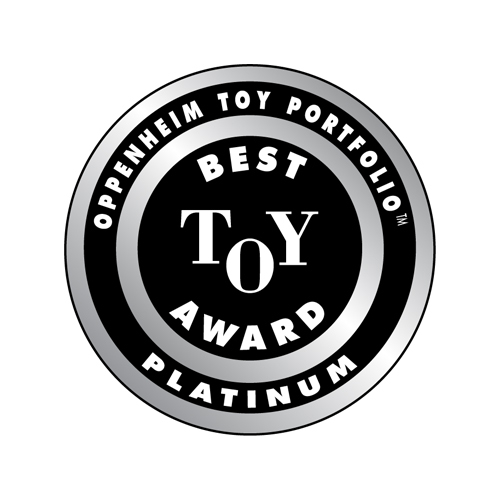 Our goal is to help parents and caretakers teach little ones about differences through a doll that may, or may not, look like your child – it’s about teaching that differences are beautiful and friendships can be made regardless. Each doll comes with an illustrated storybook and conversation starters. We hope that by bringing one of our dolls into your home, you can start a conversation around acceptance and friendship. Meet Lola! A Mexican-American friend. Lola is bi-lingual, meaning she speaks two languages. Some of her favorite words to say in Spanish are "Tortuga" (turtle) "Biblioteca" (library) and "Feliz Navidad!" (Merry Christmas). Lola's favorite color is red, one of the three colors of the Mexican flag – green, white and red. Learn more about Lola and her amazing, flavorful culture. Lola is made with a variety of kid-friendly materials which include Jersey Knit Fabric, Tricot, and Soft Boa. And she’s easy to spot clean. Lola is 12.8 inches tall and lightweight. Her arms, legs, and tush are sown together in a way that makes her fun and easy to hold and also able to sit upright by your side. Every doll purchased comes with the same illustrated storybook, “First Day of School.” The book also includes “conversation starters” so parents can talk to their kids about culture, religion and physical and mental disabilities without having to be experts. 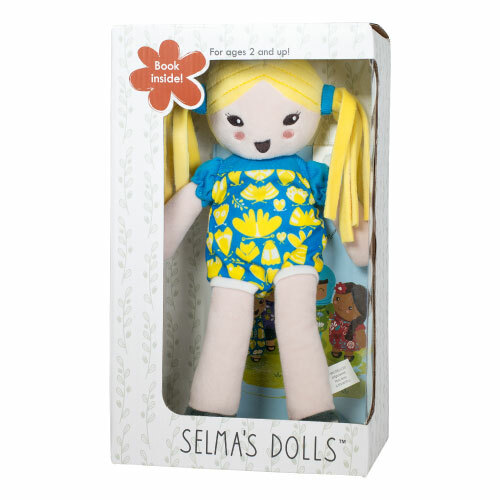 Lola and the rest of the Selma’s Dolls collection is designed for kids ages 2 and up. Lola wears a Mexican-inspired print that was created uniquely for her. In each doll’s clothing print, you can find a nod to the olive branch which is a universal symbol of “peace” and part of the Selma’s Dolls logo. Meet Annie! She’s a friend with Down Syndrome which means she was born with an extra “love” chromosome. Annie may have a different way of playing and speaking, but she has a big heart and loves to make friends. Annie likes to do all the same things all kids like to do like laugh, play games, sing songs, play sports, go to school and have fun. Annie is made with a variety of kid-friendly materials which include Jersey Knit Fabric, Tricot, and Soft Boa. All Selma dolls are machine washable. Annie is 12.8 inches tall and lightweight. Her arms, legs, and tush are sown together in a way that makes her fun and easy to hold and also able to sit upright by your side. Every doll purchased comes with the same illustrated storybook, “First Day of School.” Annie and the rest of the Selma’s Dolls collection is designed for kids ages 2 and up. Meet Ameena! A Muslim friend, meaning she practices the religion of Islam. She wears a hijab that represents modesty in the Islamic community. She does not eat pork like ham, pepperoni or bacon, but loves playing games, going to school and playing sports. Learn more about Ameena and her religion, Islam. Ameena is made with a variety of kid-friendly materials which include Jersey Knit Fabric, Tricot, and Soft Boa. All Selma dolls are machine washable. Ameena is 12.8 inches tall and lightweight. Her arms, legs, and tush are sown together in a way that makes her fun and easy to hold and also able to sit upright by your side. Every doll purchased comes with the same illustrated storybook, “First Day of School.” Ameena and the rest of the Selma’s Dolls collection is designed for kids ages 2 and up.